Taking the lead in malt and barley ordering and maintaining that inventory can sometimes be equated to being a stockbroker. Knowing when demand is down, knowing a supplier’s capacity and looking at future crop yields can adjust what to do in the present when ordering. 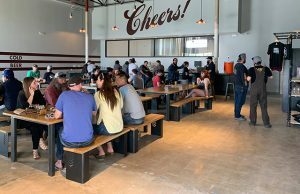 Left Hand Brewing Company’s Vice President of Brewing Operations, Joe Schiraldi, has learned the trade of dissecting commodities, and in turn, hopefully helped increase margin on sales of their Longmont, Colorado brewery that expects to produce 91,000 barrels in 2015. A member of Left Hand for two decades, Schiraldi did not enter his job at 26 years old with a brokerage background. Now he can discuss the affect corn and soybean prices can have on a crop yield for malting barley. Barley doesn’t have its own commodities market, but it follows closely to wheat and is influenced by what corn and soybeans are doing. A lot of Schiraldi’s resources come from his suppliers across the globe and numbers from the previous year at the brewery. 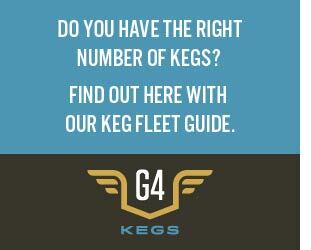 It’s information he says is available to breweries and a great way to help lock down prices for orders. “If we look at what we use last year, all of us, from A-B … down to ‘Joe and Jane’s Brewing Company’ can look at what was used last year and what the estimated [yield] is for this year,” he said. “They can look at what the acreage is for this year and what is going to affect the price in what farmers are going to look for in pricing. A lot of this is still new to buyers. The dissolving of the Canadian Wheat board in August of 2012 led to an open market for barley instead of taking the price that was given to those that bought grain from the north. Left Hand can buy up to a third of its future barley in the spring, during planting season and continue to monitor the crop and its price, hoping to lock into a deal again for another third or so before waiting to harvest time to lock down the final future grain bill. The goal is to average the price of the year before, or else save money after figuring processing, shipping and other costs. Of course, it wasn’t always that way for many that are on to the level of securing large contracts for millions of metric tons of grain. Many started by buying from a supplier that would send bags of grain at a set price. 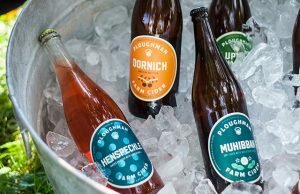 In the long run, that price drops as the need for more raw materials increase, giving a better price per pound, which is secured with contracts agreed upon by both the supplier and the brewery. 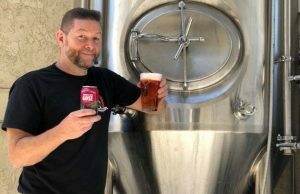 Saint Paul, Minnesota’s Summit Brewing locks in its barley price with its supplier at least 12 months in advance and it has worked out contract details for processing and delivery of their grain three years out, said Summit COO Tom Thomasser, which will be a money saver for the brewery he has been a part of for 19 years. Using overseas suppliers is normal for Cleveland’s Great Lakes Brewing (GLBC). In an email interview done among members of the brewery, Procurement Supervisor Toby Larson writes that the 27-year-old brewery expects 12-16 weeks of time between ordering and delivering malts from across the Atlantic Ocean. “We must monitor these inventories more closely than domestic material,” he said. Great Lakes deals with multiple suppliers as to avoid the happenstance of unforeseen circumstances. 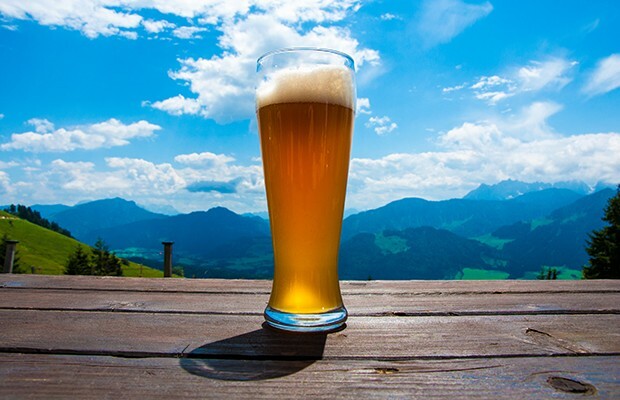 “If a force majeure were to happen to this supplier for any particular raw material, then we would possibly have to push back a flagship brew, and in turn would fail to meet the needs of our customers,” Larson said. The introduction of a secondary source though could affect the final product and Thomasser said although the quality standards are the same, the mix may be slightly different. Summit now uses a Harrington blend to protect itself in case of such an emergency. “That way if we know that Harrington decides to go away, that doesn’t happen overnight, so we can start increasing the amount of the other barleys in there and decrease the Harrington blend, and slowly transition the blend as not to make a big noticeable difference in our product,” Thomasser said. Communication is a big key, Larson said, for Great Lakes since it deals with oversea suppliers. Problems can arise and keeping on top of the situation benefits from problems happening down the line. That works the same for figuring out the amount of raw materials needed in the future. Larson said that GLBC only uses previous output for its 162,000 bbls./year brewery as a part of the formula to determine needs. “We track our output percentages year to year but we also perform sales forecasts along with a cost analysis for each style,” he said. A brewery’s storage limit and having a good practice in receiving and quality testing can also mean better beer down the line. There are multiple ways for grain to be spoiled: water, rodents, even a bad delivery method could ruin a batch of beer from the start if precautions aren’t taken at the start. 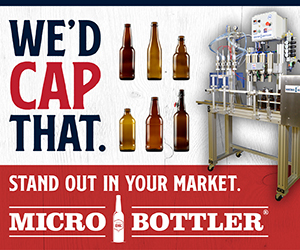 Larger breweries with lab analysis on site can double check what a supplier is giving in the supply description. Thomasseer points out that Summit has such a good working relationship with its supplier that it doesn’t check every shipment of barley it gets four times a week, usually from the same driver, but if they do find something that doesn’t match the quality they expect, they will ship it back. Great Lakes is similar. When a shipment arrives, a member of the quality team takes a sample of malt from the top of the truck. The grain on the top of the truck is inspected visually and a probe is used to sample the grain from the bottom of the truck to the top layer. The sample is taken to the lab and inspected for debris, dust, husk or other grains. Random kernels are cracked open and inspected for proper modification from the malting process. “Once the malt passes these inspections, then it is given an OK to be unloaded,” Larson said. Further testing is also performed to determine the extract potential and color of the malt samples. Smaller orders can actually have bigger problems. A pallet of grain bags may have been handled in correctly, or it may have sat in a warehouse and rodents or bugs may have hopped a ride to the brewery. 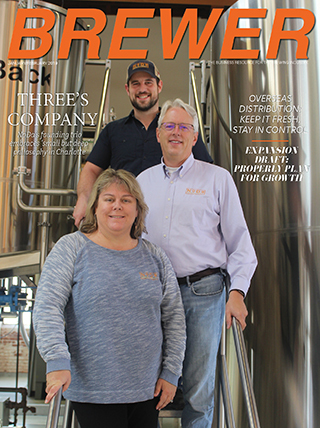 Thomasseer said that when they receive smaller shipments of grain for specialty batches ordered by the brewers, they inspect on the dock to ensure that they are clean and won’t infest the storage area. Both breweries said contracted guarantees are standard and rejecting a batch is a right. If something looks amiss, it’s gone. “We don’t know what compromised the bag and we don’t really care,” Thomasseer concluded.